Pest Control Experts: What Kind Of Services Do They Offer? When you are investing in a property, you definitely make sure to choose the best one which suits your budget. It has to be safe, should come within your budget, and meet the needs of your family. One of the major aspects which you should check is whether the home is free of pests or not. This is very important if you want to live a healthy life. You definitely don’t want ants in your home, or termites which may destroy the foundation of your home. Isn’t that so? To ensure that you are investing your money in the right property, consider a quick pest control process which can help you understand the scenario of the property. No matter whether it is a residential or commercial pest control, you should always get it done by qualified and experienced professionals. Why You Should Go For A Pest Inspection? A pest inspection process can help you know whether your house is a good investment. If you have chosen an area where termites and pests are something very common, you should immediately do the pest inspection. From silverfish to ants, wasps, moths, fleas and your home may have many other pests so you should not even think twice about getting it checked because it will help you choose the best property. In case, if you are living alone, you should still make sure that your home is pest free especially if you decide to sell the property in the future. It will be a very difficult task to stay in your home with pests as guests. 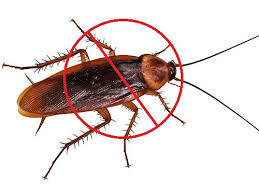 Keep all these great tips in mind to choose the best professional for Cockroach Control in Perth.